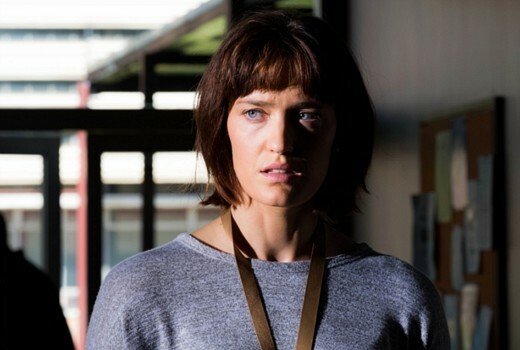 Rising star Tess Haubrich may be flavour of the month, leading Pine Gap and currently shooting Nine’s Bad Mothers, but she went through years of rejection before Ridley Scott cast her in her big break, Alien: Covenant. But looking back on career rebuffs, she now believes it gave her inner strength in a fickle industry. “I feel like all my years of rejection and trying prepared me for where I am now. This industry is constantly evolving so you have to evolve with it. I’m glad I had all that rejection. Definitely,” she tells TV Tonight. Haubrich had previous stints in Home & Away, Jack Irish, SLiDE and short films, but it wasn’t enough. Earlier her performance bug began with an interest in music before detouring into modelling. “I only ever wanted to be an actor. When I finished high school I was in a mall with my mum there were all these girls in heels and dresses. We followed them and it was casting for Australia’s Next Top Model,” she recalls. “I ended up getting into the show but I didn’t go into it. I thought if I ever want to be taken seriously as an actor…. Haubrich was cast in an action role on Wolf Creek, attracting widespread acclaim. 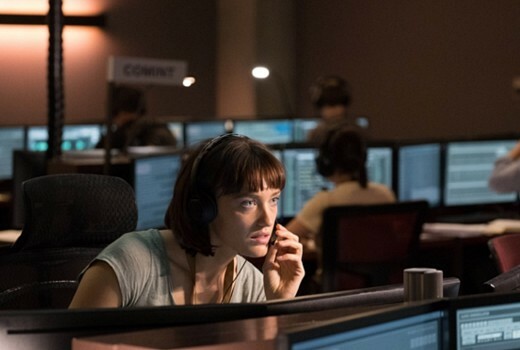 Producers Screentime then cast her in Pine Gap as Serbian-Australian communications analyst Jasmina Delic. She joins fellow cast Parker Sawyers, Steve Curry, Steve Toussaint, Lewis FitzGerald and Jacqueline McKenzie. “I’ve always looked up to Jacqueline McKenzie. I used to usher at Belvoir and watch her perform!” she recalls. “Jasmina’s strong, super-smart, has difficulty finding love because of her work. She wants someone who understands who she is but lots of people don’t understand what they do on a day to day basis. The script for ABC & Netflix by Greg Haddrick & Felicity Packard delves into the famously strong alliance between Australia & the US at the joint defence facility and tests personal relationships. “It’s so political so it’s all about the dialogue. It feels like theatre a little bit. But it’s different to anything I’ve ever done,” Haubrich continues. “There’s so much on the page that Greg and Felicity have given you, so research-wise you watch the news and see what’s going on in the world. I’ve looked into her heritage, but I also grew up with a friend who is Serbian. So I ‘steal’ a lot from her! But Haubrich confesses she doesn’t read reviews or track social media reactions. She even hates to watch herself on the screen. “Definitely not. Unless it’s a premiere where I have to go. I know actors who are very different but I just love acting and doing the job, but I don’t really need to see myself afterwards. “No reviews, keep them away!” she laughs. As she continues to chalk up equal film & television projects, Haubrich can be assured her work is winning wide praise. As for how Pine Gap is received by the analysts & staff who work in Alice Springs, she is probably out of luck. Such is the nature of the facility, those views will remain national secrets. “We will never know. Ever,” she smiles. Pine Gap continues 8:30pm Sunday on ABC. I binge watched Pine Gap. Brilliant stuff and high;y, highly recommended. Would be interested in the ratings. Tess Haubrich is tall athletic looking and charismatic so she should appeal to both the UK and US television market, Tess certainly was a standout amongst her fellow actors in Pine Gap having been given an ambiguous role as to whether she was a spy or loyal, the lacklustre ending probably could have been better written for her as well.